The National Arboretum in DC is located on the edge of the city, on the Anacostia River. It's a bit hard to get to without a car, with an entrance off Bladensburg Road NW, not far from New York Avenue not quite one mile from the DC-Maryland border. It's about 2/3 of a square mile and according to Tom Costello, director of the Friends of the National Arboretum, it's 2% of the city's land mass (part of the third of the city that is federal or campus lands) but provides 7% of the city's carbon capture and is an important "lung" for the city. While the Arboretum functions as a park, with 500,000 visitors annually, the reality is that its primary function is as a research facility, part of the network of research facilities run by the USDA's Agricultural Research Service. Many plants and trees that we take for granted have been developed at this facility, which also studies plant diseases. According to the unit's Strategic Plan, 2013-2017, the National Arboretum is one of the top 10 most visited public gardens in the US, but this reality is somewhat out of sorts with regard to its mission and organizational reporting relationships. The ARS isn't in the business of funding parks, and as federal budgets have shrunk since the recession and "sequestership," the National Arboretum cut back its hours, closing three days/week. That is another example of the need for contingency planning as an element of local parks master plans, when a community has parks installations within its borders over which it does not control. Not to mention that the park has 500,000 visitors and there is potential to leverage this visitorship, using garden tourism principles. Back to a full schedule. 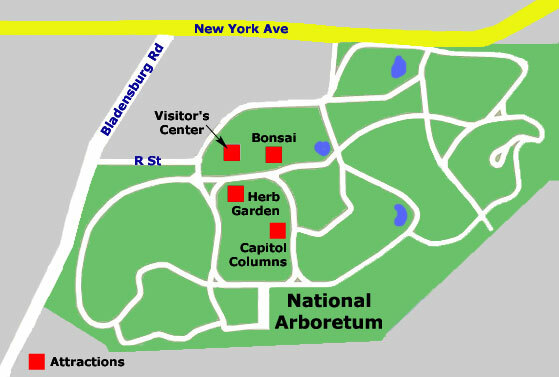 Recently it was announced that the Arboretum is back to a schedule of being open every day ("US National Arboretum To Re-Open to the Public Seven Days A Week," USDA press release). But none of the articles mentioned how much this costs. The move back to a full schedule has come about because of FONA, which through various fundraising efforts, has committed to paying the $100,000/year that the Arboretum needs to stay open to the public. Think of it, $100,000! That's not even a rounding error in DC's $10 billion annual budget. But the lack of $100,000 meant that one of the nation's most visited public gardens has for the past few years, been closed three days each week. If the city had a public parks master plan and if it would include contingency plans for the possibility of the closure of federal installations, then this situation could have been addressed a few years ago. FONA and fundraising. Thursday through Saturday is the organization's annual Garden Fair and Plant Sale. Sales from the event help to fund the open hours program. Members get exclusive access to sales today, while public hours are Friday and Saturday. Six nurseries will be selling plants, a number of nonprofits will be exhibiting, and some food and other vendors round out the event. And June 9th is the annual fundraiser, decidedly not black tie, the Great Arboretum Cookout also known as "Cookout Under the Stars." Last year's event had 550 attendees. Coordinated Garden Tourism as an opportunity for DC. As I mentioned in the Earth Day entry, there is an opportunity to have a spring street festival in the city focused on green and sustainability issues, along with flower and garden elements. Leesburg Flower and Garden Festival image from NBC4. DC already has a major garden tourism event with the National Cherry Blossom Festival, which has expanded its activities beyond the traditional cherry blossom walk by the Jefferson Memorial, sponsoring the new Anacostia River Festival, cherry tree plantings throughout the city, etc. But like the Garden Festival and Garden Walk activities in Buffalo--the organizations are merging this year--the various garden tourism elements in the city, starting with the Cherry Blossom Festival, could be organized into a more purposeful "network" of events and programs throughout the year that are cross- and co-marketed. Such activity would not only serve visitors, it would build the knowledge base of participating residents and in the long run, contribute positively to the beauty of the city. I still remember the visual power of these stamps which came out in the late 1960s, associated with the beautification agenda pushed by then First Lady, Lady Bird Johnson. Glad to see someone denoting postage stamps and the art the show- plus the incredible engraving we have on US postage stamps. Stamp collecting as a hobby as really diminished over the years which is so sad. It was once a way that kids could learn about the world and all its splendor. Yes- the Arboretum is a fantastic place and it has lovely areas within its confines that many people miss out on. It would nice if- eventually- a Maryland Avenue entrance to the park be opened up - this would make it even more visible and relevant.I suppose that over the past few decades the crime ridden areas around the Arboretum discouraged visitors and improvements to it alike. Now that reinvestment is charging ahead in DC, maybe more could be made of this wonderful place. I collected stamps when I was young. I am still into them. It turned out my father must have turned me on to it, but he died when I was 7. It turns out that he and relatives made a couple donations to the Smithsonian (now the Postal Museum) in the 1950s, before I was born. Agree on the broad point that a park framework has to think about federal parks. That said, the Aboretum move seemed far more about PR than the actuall dollars. I'm sure there was 100K or less in their budget as well. There as a piece about Key Gardens (london) a while ago -- I'll see if I can dig it up. Sort of the same issues -- the actual use of the gardens has dropped off as their purpose of displaying imperials plants has zero meanign today. And to tie that to the garden tourism, yes, you've got to re-invent. I regret not taking my mother down Q st or some other in Logan/Dupont as it can be amazing what you do with limited space. Absolutely need to rescuse gardens from old fogeys -- need to rescuse old houses from them as well! Well hardly gardens anymore, and those who do, that I have seen, are mostly old. Dupont has some lovely gardens, a minority of which are tended by the actual owners of houses. The rest have big ugly signs advertising the service that does the garden. To me, that is not gardening. Gardening is hard work, frequently trivialized and totally misunderstood. Not many do it anymore. Fewer do it well. Sure, Casey goes out and plants trees (does bad job at design and maintenance....yes, yes, that's our job), but there are few avid gardeners anymore, those who exist (many who are old) need to be lauded and appreciated. Thanks for this article. Really interesting. And they have similar issues to Nat. Arb. USDA or the equivalent agency in the UK aren't "in the business" of garden tourism. ... my "favorite" story about this is at the Chittenden Locks in Seattle, which are run by the Corps of Engineers. But are 2400 miles from DC. So in the 1920s, one of the people started developing an arboretum there. It's the only one in the set of installations run by the Corps of Engineers. But they could get away for it because they were so far from Washington. Now that govt. budgets are going through re-evaluation, it's true that some functions no longer make sense and should be dropped, or have to be funded in other ways, etc. E.g., I think I wrote about how some states complained about USGS or NOAA post-recession ceasing certain activities. But they should have been doing them anyway. Similarly, how Rick Perry got rid of all the state personnel responsible for dealing with wildfire, preferring to rely on the fed. govt. to step in when necessary. Crazy. Of course those cases aren't relevant really to this particular case. I didn't write this piece because of the following, it just happened that way wrt timing. I was curious about the $ once I saw the original stories. ... anyway, on Friday we went to Richmond for a set of tours as part of Virginia's Historic Garden Week. We saw some pretty cool places. But even "just" the gardens at VMFA were quite fantastic. Modern. Simple. Water features, some trees and sculptures. Kids and adults enjoying themselves. But the Virginia Historical Society is across the way and going through a renovation and I doubt that they have decided to "integrate" the landscapes and treat them as a kind of whole. 2. Garden Week is a pretty interesting thing. I'll write about it maybe. And it spurs local garden involvement, supports garden clubs at the local level, etc. GS -- so many of the things that go on around the city don't reinforce active civic engagement and capacity building. We are hardly great gardeners. Sometimes I am really bad about cutting the lawn. I jokingly call our style rustic, and that's partly because we have wildflowers that come up in our beds--the first year, as they came up I thought they were weeds, and it was on a tour of Winterthur, seeing similar plants, that I learned they were wildflowers. So now I let them come up and do their thing, they've been here far longer than us anyway. We are adding beds to the front, have done some square foot gardening, etc. But it takes a lot of effort. Your respect for plants rights is laudable and, there is no way I can think of at this early hour that this does not sound snarky, it must be a relief to have such a handy justification to relieve yourself of physical and mental effort! But no, not every yard must be a masterpiece, I understand that fully. (I appreciate your efforts and the efforts to recycle or compost yard waste.) And wildflowers are beautiful. They can be shown respect even more if they are shown off in just the right way! But that does take work. Investment in gardening can be an interesting proxy for how many single 30 year olds are turning into 40 year old residents. Of course this was motivated by the morning walk examining all the broken glass out from the weekend -- I don't feel like investing in gardens if people are going to destroy them. I'd agree the casey tree model, while popular, is not doing enough to take care of existing trees vs new plantings. 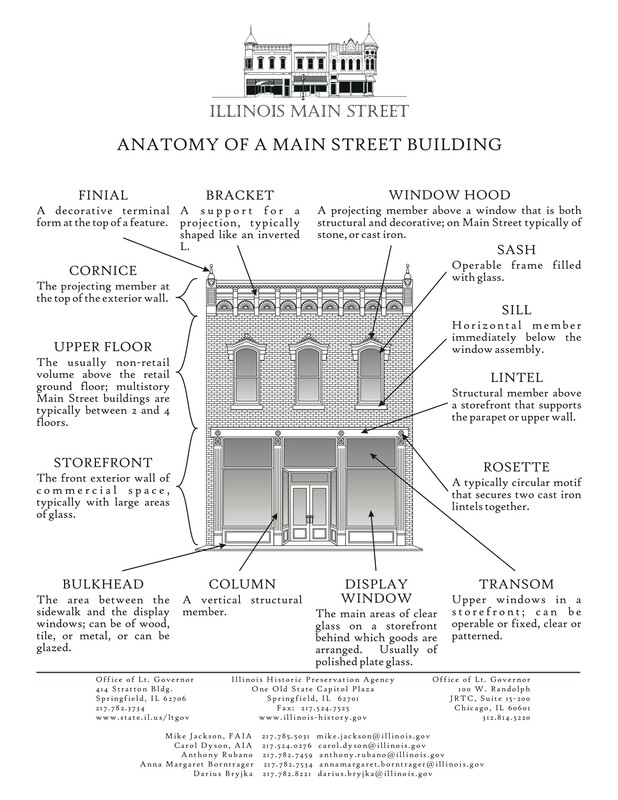 I see the value in rowhouses and having small yards. Frankly, I never expected having such a big yard to deal with (our backyard is roughly 50x90). The previous owner did a lot. Mostly, we are trying to maintain what she had, while adding more stuff here and there. The big thing has been to plant more natives, for the bees and birds. We've done that by adding beds in the front, and I keep planting black eyed susans and other flowers on the alley--some were taken two years ago (the first time I experienced plant theft) when we were away. So far, my experiments at berries have mostly been failures. But I can't claim to be hyper diligent. I still think about planting a fruit tree or two. The bird bath is great for the birds, and the bushes (azaleas and others) on the side of the yard are great for birds too. But our backyard ecology changed drastically when one of the major trees (a willow oak) died off after a few years. It was tragic, between the two trees we had an outdoor rain that was pretty dry during rain storms. We've planted two trees in its place, and might do some vegetable gardening in the back now, which we couldn't do before. wrt "the beds" in the back and wildflowers, there is an first blooming period of daffodils and bushes and such, plus azaleas and roses and some bushes (Suzanne knows the names better, but some are hydrangea) and over the course of the summer, the wildflowers (Joe Pye Weed and Blue Mistflower) gradually take over the beds. when I was in the H St. neighborhood, I tried unsuccessfully to get the "Near Northeast Citizens against crime and drugs" to reposition as a neighborhood assn. focused on more than crime. One of the proposed committees was public space, including greening. A lot of my experience dealing with litter and public spaces was forged in that neighborhood. oh, just a handful of traditional asters grow in there too. I thought that's what all the whiteflowers were, but of course, there are various cultivars.